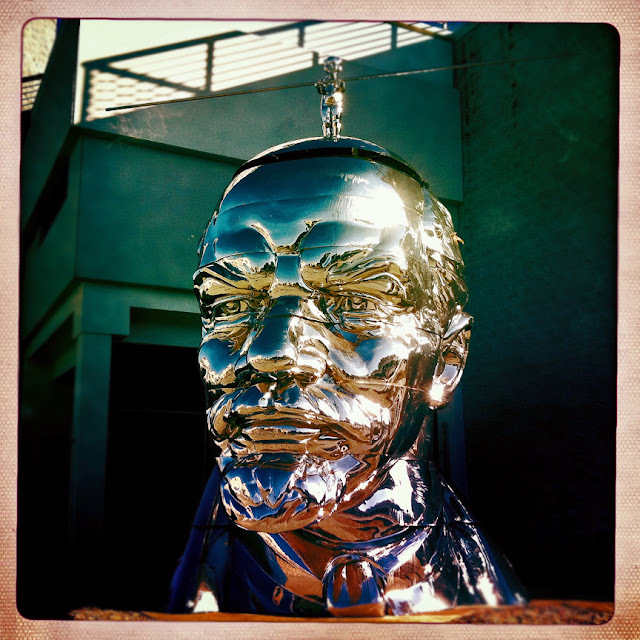 A giant chrome Lenin head appears outside the Ace Gallery on LA Brea Ave. 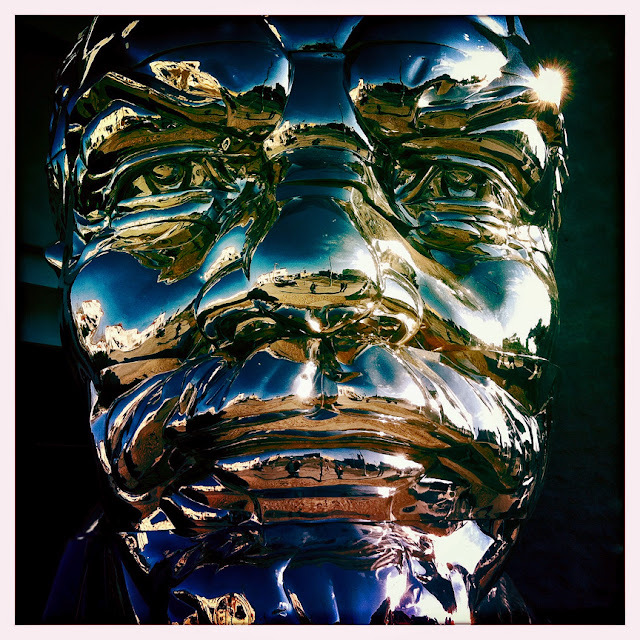 The name of the giant sculpture is " Miss Mao Trying to Poise Herself at the Top of Lenin's Head," and is made by the Gao Brothers from China. Miss Mao atop Lenin's head.